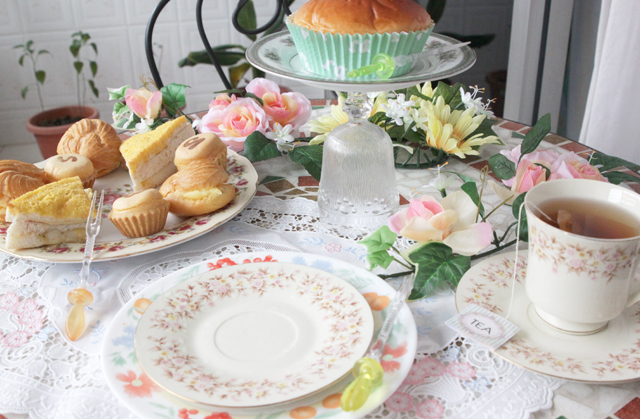 Today, I'm going to blog about how you can prepare your own girly "afternoon tea party"! 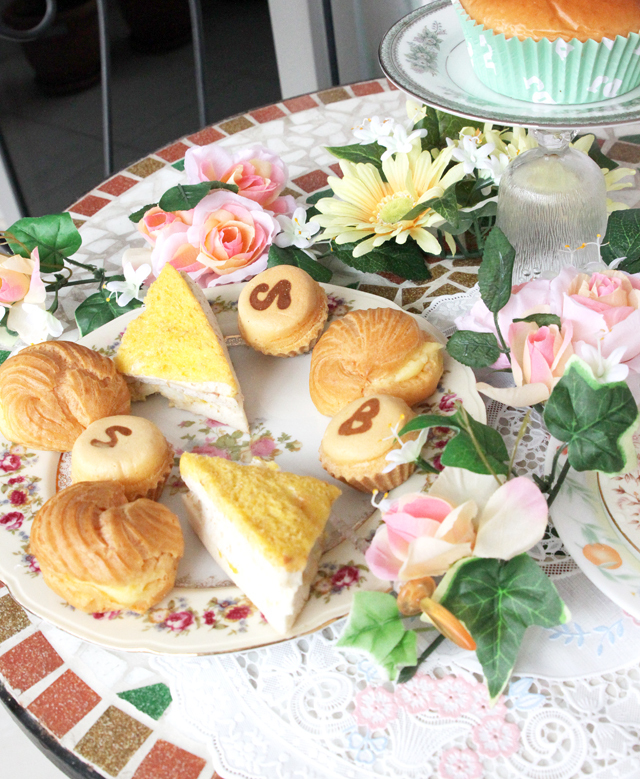 I was inspired after scrolling through numerous photos of quaint, pretty afternoon tea parties. 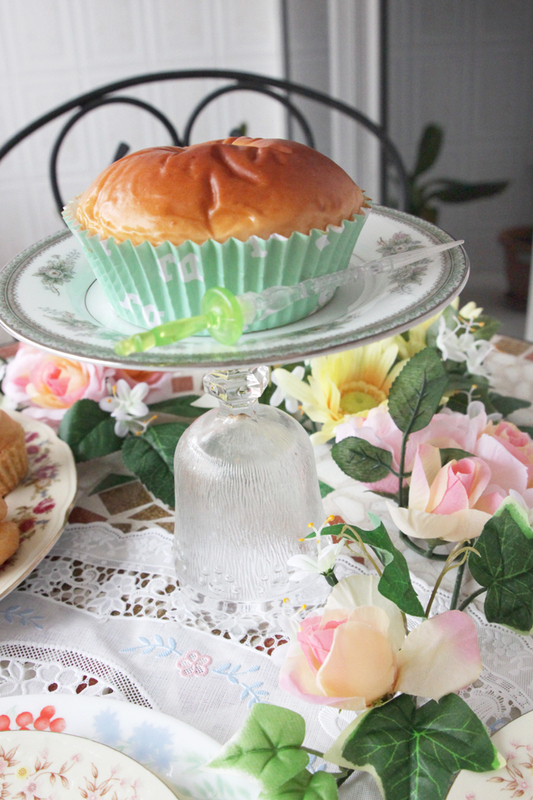 However, I didn't want to spend money buying new tea-sets and cake holders, so I used whatever I could find at home! First, to decide on a theme. I'm quite sure that my house won't have those exquisite crystal or vintage cutlery, so I decided to do pastel floral! 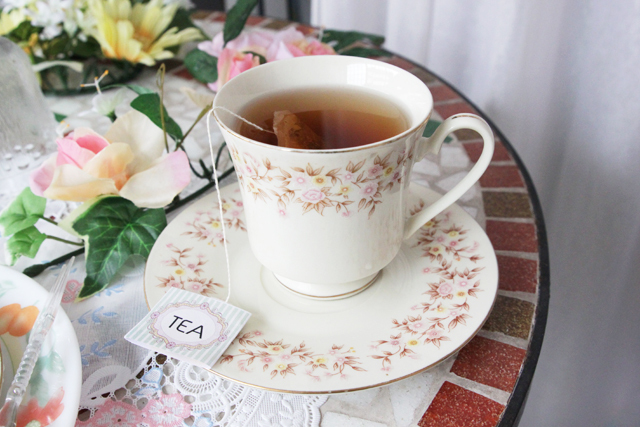 I'm glad I found this pretty floral tea cup and saucer in my kitchen! Fits the theme perfectly! I actually used normal Lipton Tea but I wrapped the label with something I printed out myself so that it looks nicer! For the serving plate, I did a layered one like what I did below, but I couldn't find matching plates in both sizes! 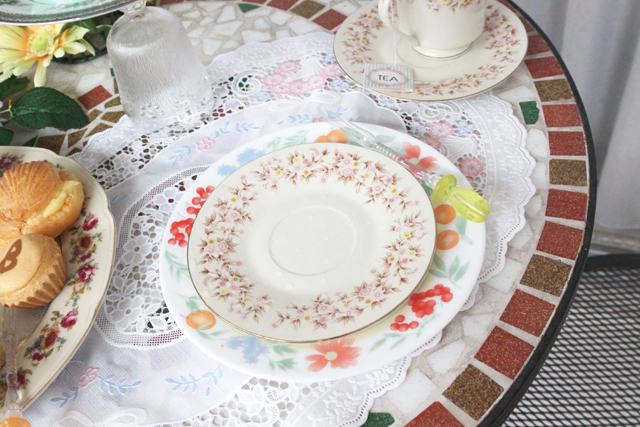 Placed a lace mat below the plates to make the setting more lovely! Afternoon tea almost always involved cake holders. I didn't have one, so I improvised using what I already have! Took a glass that looks like wine glass to support a small plate for the leveled effect! Remember to stick the plate to the glass using really good glue, if not it's quite dangerous if it falls. I recommend to stick another plate to the base so that it's more balance! Found another nice floral plate to hold the rest of the nibbles. Placing some flowers on the table completes the whole setting! And of course, a nice outfit to go with everything! Click here for more information about my outfit! Floral skirt to go with the theme, and light, neutral shoes and accessories to match. This was simple and placed together really quick. Would love to do a more elaborate and prettier one complete with buntings, poms, table cloth, and more decor next time! Have been pestering my sister to let me organize her 21st Birthday Party coming soon in a couple of years so that I get to do something like this on a bigger scale but so far she has been rejecting my advances. Lol. Will continue to pester her until she relents!